Starting at $20 per visit. This will included a short walk (15-20 minute) or playtime in your fenced yard. Longer walks are available, if desired. During the day visit we can provide your pet with food, fresh water, medications (if needed), and a clean litter-box. We will also perform house duties such as gathering mail, watering plants, pond or jacuzzi treatments, rotating lights, etc. We also leave a check-off sheet and notes to let you know how our visit went and how your pet did while you were gone. Our typical visit last 25-30 minutes. 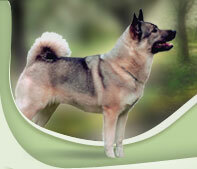 However, we gladly customize our service to suit you and your pet's needs. If longer visits are desired, they are available at a rate of $5 for each additional 15 minutes. Over-night stays start at $50 per night (approximately 12 hours). This includes total pet care including a long walk in the A.M. and P.M., feeding, refreshing water, medications and suppliments, playtime, etc. House duties include gathering mail, watering plants, treatment of jacuzzi and ponds, trash to curb, rotating lights, etc.) This is a customized service and will be taylored to suit your needs. You can schedule mid-day visits along with your over-night stays at an addition fee. Do you need some errands run? Need some groceries? Dry cleaning picked up? etc. Give us a call...we do provide this service. If you should run out of supplies for your pets while we are providing pet sitting service, we will gladly pick them up for you at the rate of $10 plus the cost of the supplies.